Want to grab a coffee? Or a quick pastry? Meet your friends at Tredwell Coffee in downtown Aurora and enjoy the quaint atmosphere and great coffee. The cafe is open Monday through Saturday. A full menu of coffee drinks is available, as well as teas, bottled and canned beverages, and more. Check their Facebook page for daily specials. 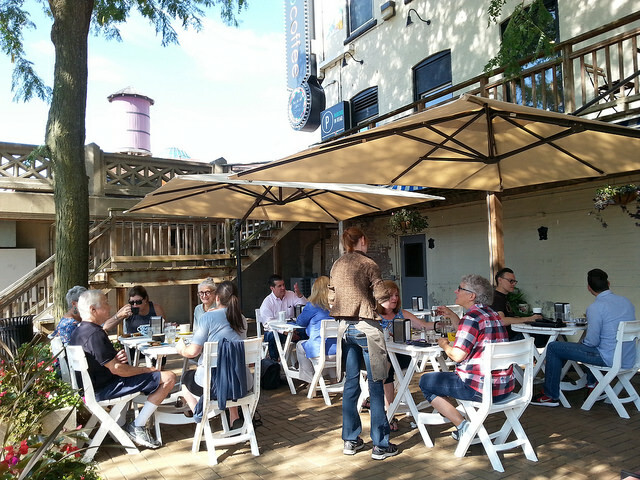 Outdoor seating is available on the rear deck overlooking the Fox River.